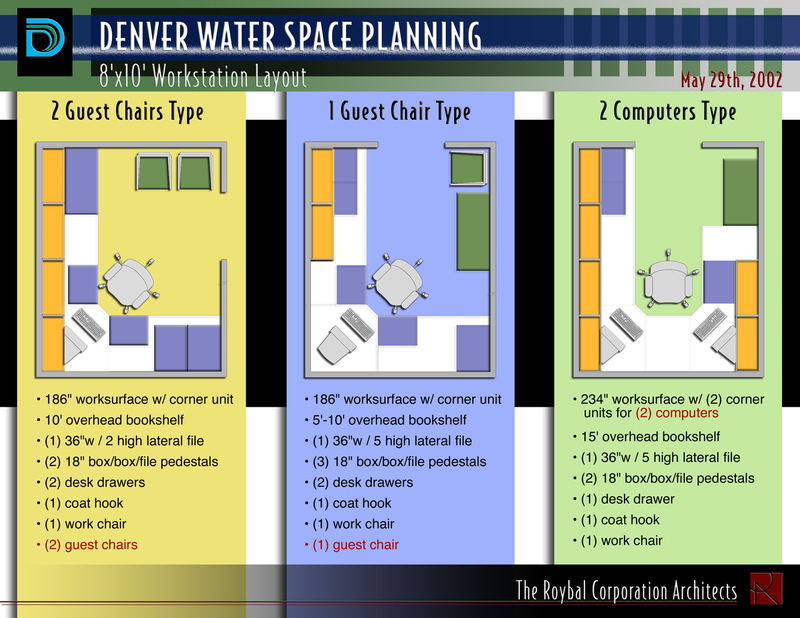 The Roybal Corporation design team was asked by Denver Water to analyze the present and future space planning needs for eight separate and distinct divisions within the entire department. 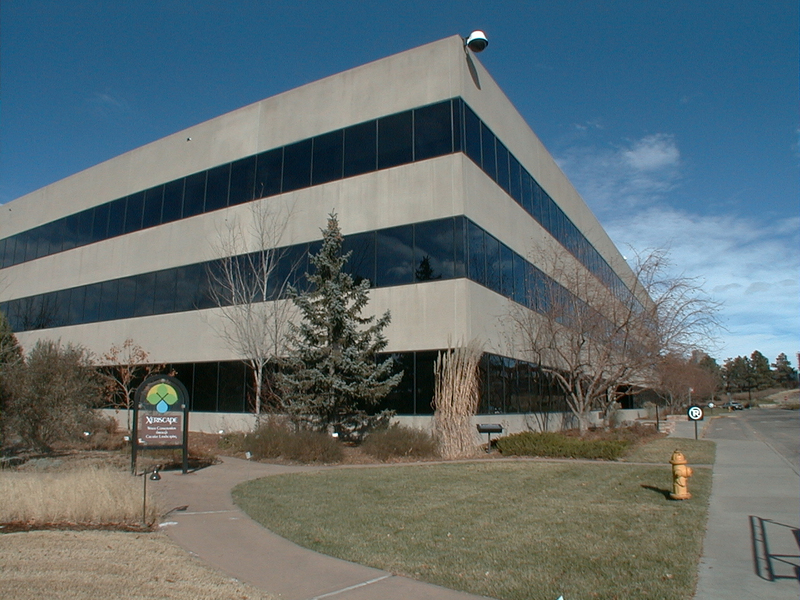 The facility, originally designed and planned over twenty years ago needed a fresh look as well as incorporation of space planning concepts. 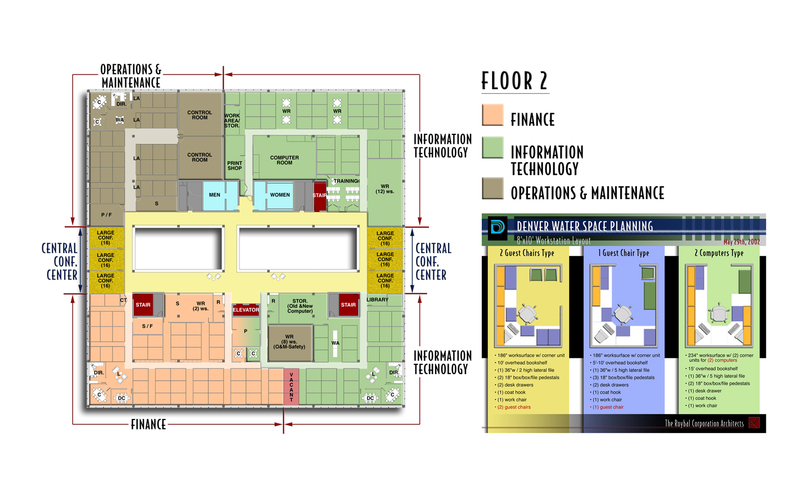 We were tasked at examining the viability of adding “virtual space” in the current building. 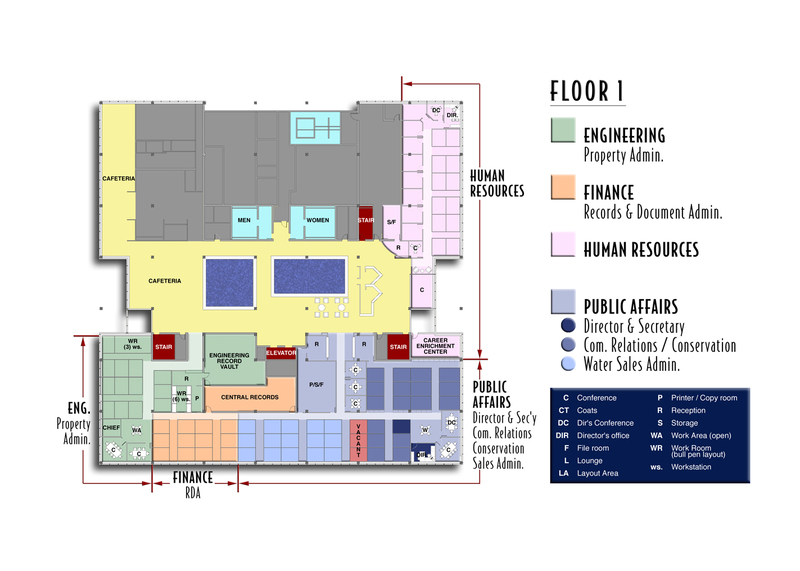 We met with division directors from Human Resources, Design Engineering, Planning, Legal, Information Technology, Public Affairs, Operations & Maintenance, and Finance to understand each division’s specific needs. 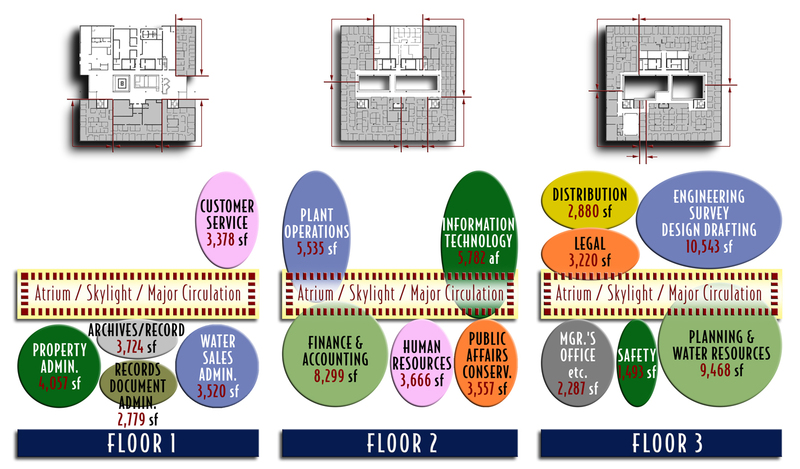 We closely examined the data and developed a plan which would extend the life of the building and improve its current capacity. 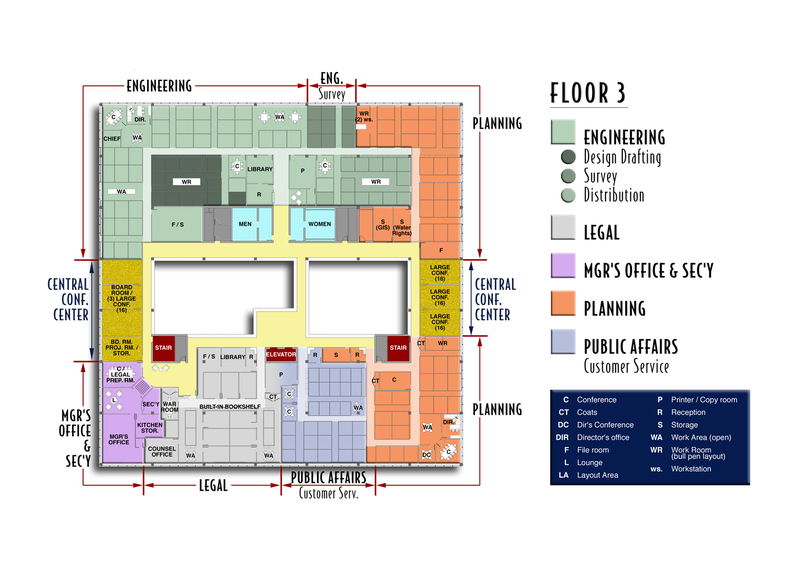 We proposed the following major modifications: Establish a hierarchy of circulation to improve life safety and ease of building navigation; Add sorely needed general conferencing in areas which are highly visible and centrally controlled; Improve lighting and ergonomics to follow more modern standards which will help with employee comfort; Define and consolidate staff types to roughly four workstation configurations for ease of staff relocations in future moves; and Relocate several divisions to work better with the public, and keep outside visitors restricted to the first floor.